Some clients capture leads offline through community events. They wish to upload those leads into Zaius and target them. First we are going to create a custom field on Customers called Lead Source which will hold the event name for the lead. Click Create New Custom Field. 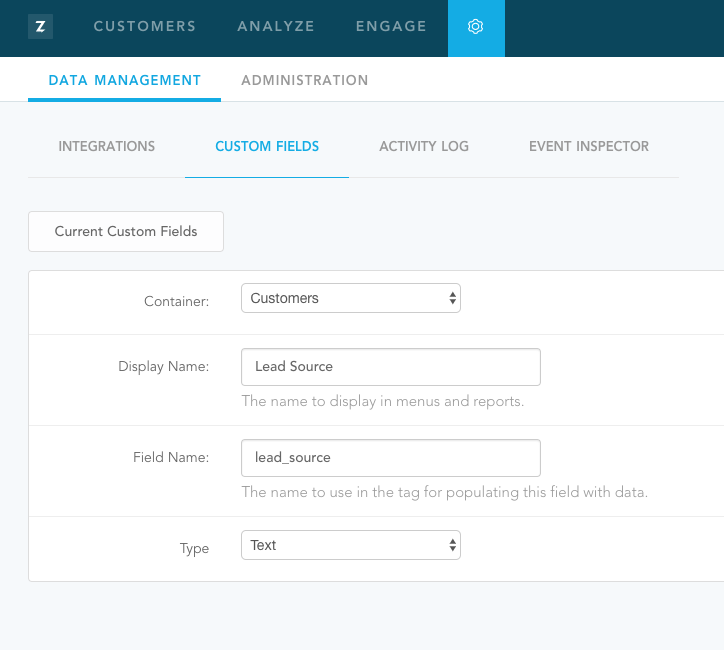 Select the Customer Container, name the field Lead Source, and use the Text type. Assuming you are capturing email address, first name, and last name. Prepare a CSV file with the following fields: email, first_name, last_name, lead_source. 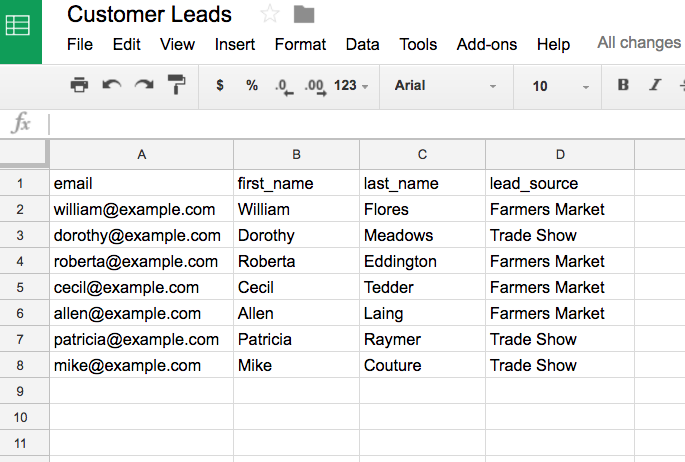 Import your data into Google Sheets with headers email, first_name, last_name, lead_source. Export as CSV. File => Download as => Comma-separated values (.csv, current sheet). Rename the file to be prefixed with zaius_customers for example: zaius_customers-leads-2017-03-28.csv. Navigate to the Upload UI in Zaius. 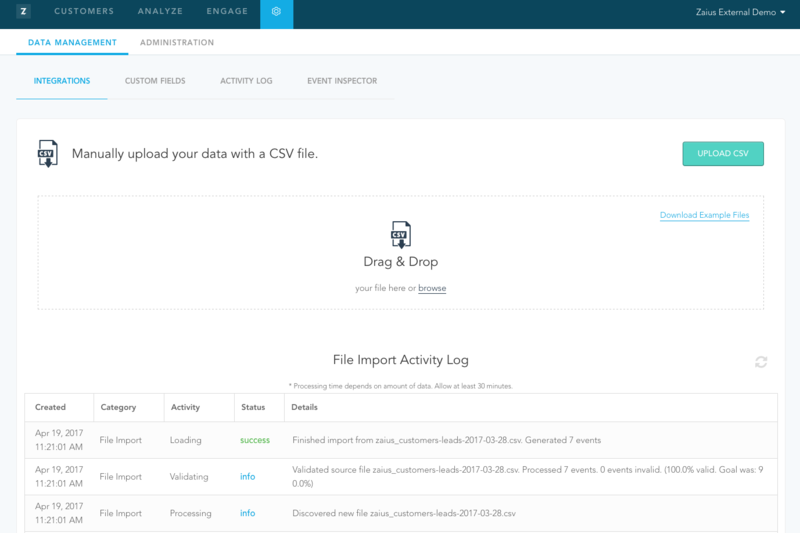 Cog => Data Management => Integrations => Upload CSV. Navigate to Segment Manager. Customers => Segment Manager. Name the segment: Leads: Farmers Market. Under Demographics, select Lead Source = Farmers Market.